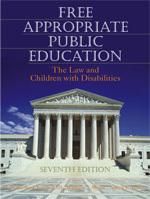 Now, a total revision of the classic book dealing with the law governing the education of children with disabilities is ready for educators. It includes the 2004 IDEA reauthorization and the proposed regulations. This up-to-the-minute resource brings you the most recent developments in legislation, case law techniques, due process, parent participation and much, much more. The text is completely updated and contains all the substantial amendments made by the latest reauthorization of IDEA. It includes a glossary and other resources to bring the best possible information to students and professionals. 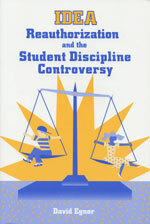 This book is essential reading for any course dealing with school law or school administration. All school principals and special education teachers should have this new resource on their desk.